A new GNSS market research report by research firm RNCOS forecasts the global core GNSS market to grow at a Compound Annual Growth Rate (CAGR) of 9 percent during 2015-2020. 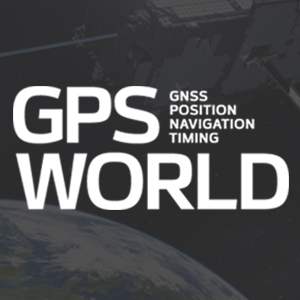 The GNSS industry includes technology that allows any user having a compatible device to determine their position, velocity and local time by processing signals from satellites in space. Signals include GPS, Galileo, GLONASS, BeiDou and regional SBAS. The GNSS market includes both products (receivers and devices) and services using GNSS-based positioning as a significant enabler. In the latest research study “Global Navigation Satellite Systems Market Outlook 2020,” analysts identify and decipher the market dynamics in important segments, highlighting the areas offering promising possibilities for companies to boost their growth. The report studies the market by its major application and location-based services, transportation (further divided into road navigation, rail navigation, air navigation and marine navigation), surveying activities and agriculture. The GNSS application market is further studied by region — North America, Europe, Asia-Pacific, and Rest of World. The report provides a complete overview of the GNSS market globally. All the current trends and drivers coupled with potential growth areas of the GNSS industry have been evaluated in the report. Furthermore, the report provides knowledge of opportunities in the industry for different companies in the “Opportunity Assessment” chapter. Additionally, to provide an exhaustive knowledge of the prospects for GNSS players on the geographical front, the report provides a comprehensive knowledge of the 10 most worthwhile GNSS markets around the world: U.S., Canada, UK, France, Germany, Russia, Japan, China, South Korea and India. It includes information about the present state and future outlook of the LBS and telematics market in these countries, along with information about their personal navigation systems with the U.S.’s GPS, China’s BeiDou, Europe’s Galileo, Russia’s GLONASS, Japan’s QZSS and India’s IRNSS. Finally, the study looks into the competitive landscape covering business overviews, key financials, product analyses, recent developments and strengths and weaknesses analyses of each of the players. All in all, the report is intended to help clients analyze the driving forces and understand the opportunities in the industry. The full report is available from Report Buyer. 2 Comments on "New GNSS Market Report Assesses 2020 Outlook"